As she was taking the children outside, Julia was overwhelmed by the smoke and couldn’t breathe. Just when she was passing her brother to a neighbor who came to the rescue, Julia lost consciousness. Ten-year old Julia saved herself and five siblings from certain death. The day began like any other for the Pervuchniy family. They were living in a small wooden house in the village of Teterevino, almost ten hours southwest of Moscow, close to the Ukrainian border. Their modest home had no gas, but there were many children - three boys and three girls - that had to be fed. On Feb. 2, the mother went into the woods to get firewood for the stove. Julia, a ten-year old girl, was left in charge. The fire started unexpectedly, when the children were playing in the next room. Suddenly, one of the boys yelled, “The house is burning!” But his siblings didn’t immediately believe him. By the time when they checked, half of the house was already on fire. 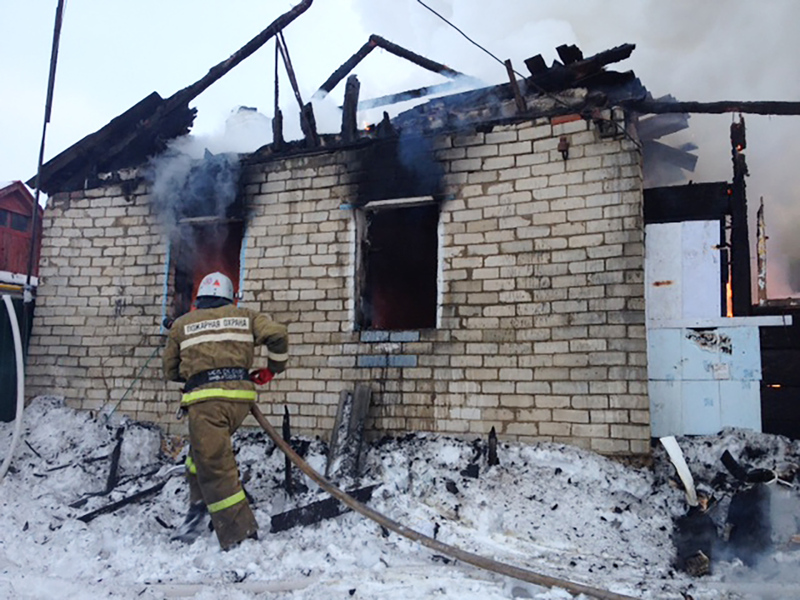 “Panicked, the youngest ones hid from the smoke by crawling under their beds, but Julia tried to put out the fire with water,” the village resident, Tatyana, told Moskovskiy komsomolsk. It was impossible to stop the raging fire, and even though the flames blocked the house’s exit Julia remained undaunted. Aware that she was responsible for the youngest children, she screamed at her brothers and sisters to come out from under the bed and make a run for it. Certain that all the children were with her, Julia smashed the window and grabbed a blanket and a jacket close by and threw them out of the window, reported the regional newspaper, GUMChS. The local fire department reported that Julia only came to when she was with her neighbors, and at that moment she immediately started counting her brothers and sisters to make sure nobody had been lost. While saving her brothers and sisters, Julia breathed in a lot of carbon monoxide, and needed to be hospitalized. The doctors report that she is fine now. She does not think of herself as a hero, but simply loves her brothers and sisters and was terribly afraid to lose the people closest to her. In just an hour, the fire destroyed the family’s house, belongings and documents. The culprit, according to a preliminary investigation, was a faulty electric cable. Now, the family temporarily lives with relatives and villagers who help them with groceries, clothes and money. The village administration promised to help them get a new house.